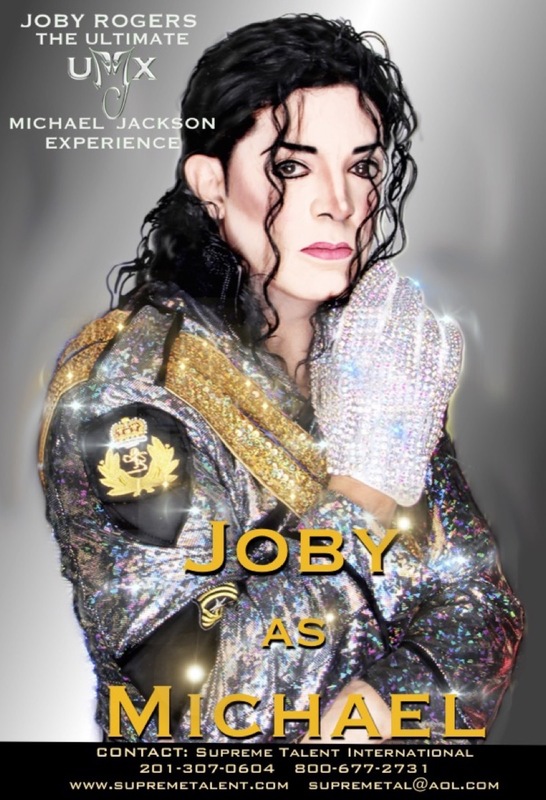 As the mirror image of Michael Jackson, “The Ultimate Michael Experience” starring Joby Rogers, is both entertaining and electrifying. This full stage production is a tribute to the music and dancing of the World Famous Star. Choreographed by Joby Rogers, who portrays Michael, this exhilarating production utilizes the talent of eight dancers, which envelops the audience in a wave of visual excitement, not seen since Michael’s final concert. Joby Roger’s stunning resemblance to Jackson combined with the intricate dance moves of the genius himself, presents an exhilarating performance preserving the legacy and spirit of this entertainment Icon. Be prepared for an evening to remember. Everything from the signature Moonwalk, unbelievable dance moves, incredibly talented back-up dancers and customized wardrobe is recreated on stage. After many years of intensely perfecting the dancing and mannerisms of “The King Of Pop” Michael Jackson, no other can parallel the uniqueness of his look and style more precisely than Joby Rogers. Joby was personally selected by Michael Jackson in a signed statement as the “Official Substitute”. Joby is the only impersonator to ever appear on the Cover of “Rolling Stones Magazine”. “The Ultimate Michael Experience” has performed to sell out audiences all over the world. Appearing on National television including, Conan O’Brien and Jimmy Kimmel, Joby Rogers does not imitate Michael Jackson. When Joby takes the stage “He Becomes Michael Jackson”.